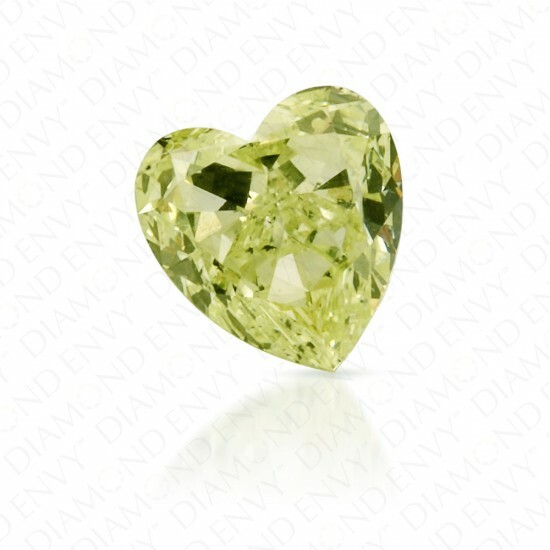 This delightfully dainty 0.34 carat SI1 heart shaped Natural Fancy Yellow-Green diamond is a very pale yet captivating shade of chartreuse, with rare green evenly melding with yellow. This diamond has nice brilliance and boasts a feminine heart shape. GIA-certified. 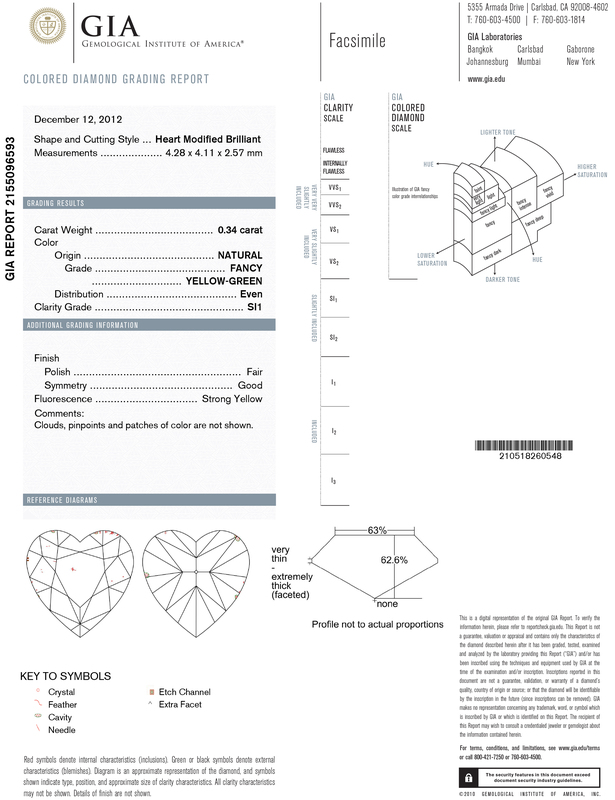 To learn more about this rare diamond color, read our fancy green diamond guide for buyers and investors.